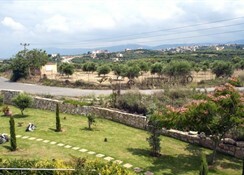 Situated upon a hill in Kato Stalos is the family run Renieris Hotel. 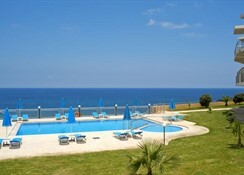 It is just 200 metres from the beach and 8 kilometres from the famous and busy city of Chania. Renieris is built amphitheatrically offering great views of the Aegean Sea, Thodorou’s island and the olive groves of Stalos. 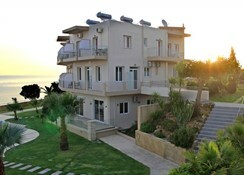 Its rooms feature air-conditioning, satellite TV and refrigerator and all en-suite rooms have private balconies. Safety box is also available and charges are applicable. 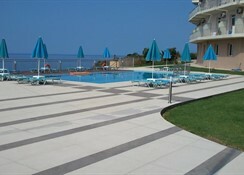 Renieris Hotel has a large swimming pool with a sun terrace, as well as a smaller pool for the children. The covered pool bar offers snacks and refreshments. Free Wi-Fi is available throughout the hotel and free on-site parking is also possible. In Kato Stalos you will find many restaurants, taverns and supermarkets. 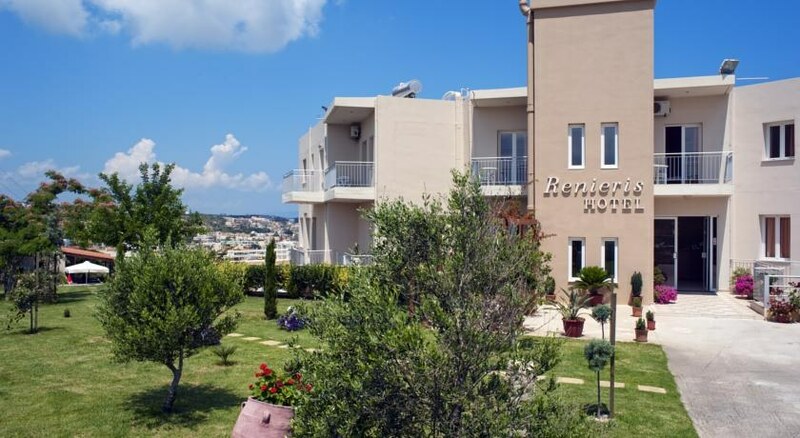 Hotel Renieris is also 1,5 km away from the picturesque village of Pano Stalos where you can enjoy traditional Cretan dishes. 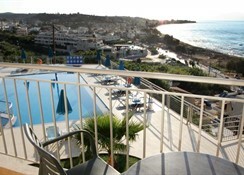 Kato Stalos is a waterfront tourist village situated approximately 5 miles west of the city of Chania. There is a long sandy Blue Flag beach and numerous shops, restaurants, cafes and tavernas along the street near the beach. There is a frequent bus service and a good transportation allowing visitors to explore the district of Chania and the rest of Crete.